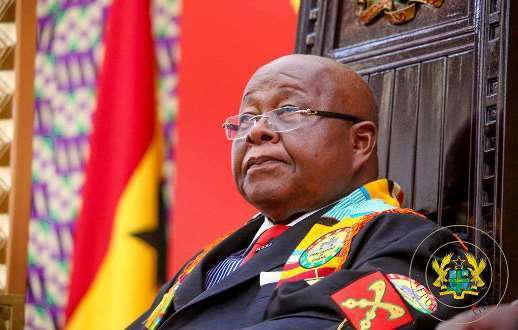 The Speaker of Parliament Professor Mike Ocquaye, has urged politicians to develop capacity to stomach “nonsense” in the pursuit of a political career. Delivering a lecture to mark the 40th Anniversary of the legacy, life and Political achievements of Dr. Kofi Abrefa Busta, Prime Minister of Ghana from 1969 to 1972, in the 2nd Republic, the Speaker, quoting Prof. Busia who once said “If you will enter politics and you ask me what qualification is needed for a politician in this country today, I would say this: you will not make a success of it unless you have a large capacity to stomach nonsense”, admonished present and future politicians to take a cue from Professor Busia and develop bigger hearts to contain all the challenges that will come their way. “You must not think that the more you give, the more loyalty and gratitude you will get. You won’t. Anyone who enters public life must know that he is going to a place where that stranger master called opinion is the most unkind of all masters. You will be made to explain things you have done, and things you have not done. You will be made a thief, a murderer, a miser – anything. If you are going to politics, you must be prepared to be wounded” the speaker quoted. In his seven thousand words lecture, the Speaker of Parliament, a known long time-admirer of the late Prime Minister Kofi Busia, recounted the political struggles, achievements and ambitions of Professor Busia during his two and a half year rule before he was overthrown by General I. k. Acheampong. On leadership, he recalled how Professor Busia discovered for President Kufour and mentored him by appointing him as the youngest serving Deputy Foreign Affairs Minister of Ghana. “Busia was an expert in discovering talents, building bridges and keeping lasting and valuable relationships. His capacity to mentor and work with men and women of different generations is worthy of mention. President J.A. Kufuor was assisted and encouraged by Busia at an early age. Indeed Busia saw something in Kufuor. First, Busia recommended him to Oxford and subsequently endorsed his political ambition. While in his late twenties, young Kufuor was made a Deputy Minister for Foreign Affairs, and he knew perfectly that the Prime Minister’s eyes were on him for future leadership. Such young men, Busia tutored by words, deed and example” the Speaker said. The Speaker submitted that Ghana’s first President, Kwame Nkrumah, could not have been the one who declared independence in Ghana. “Let me say categorically that Nkrumah did not declare independence at the Old Polo Grounds. The motion for independence was supported by Busia and was carried and the Duchess of Kent declared Ghana independent at the National Assembly by the authority of Queen Elizabeth II. No Ghanaian child should be taught that Nkrumah declared independence at the Old Polo Ground. That was a CPP Rally and Nkrumah was entitled to let his supporters know that the struggle was in fact ended. Independence was declared hours later in Parliament” Professor Oquaye stated.